It's no longer required to launch SMBX Editor to test SMBX levels, SMBX level editor window will be launched automatically when you will want to test a SMBX level in PGE Editor. Compatibility with Vanilia builds, you still do a test even LunaLUA is not installed, but you should start a dummy episode yourself. configure.exe (a tool provided with SMBX Integration config pack) now gives a flexible configuring of configuration package: it will automatically import custom musics and sound names from music.ini and sounds.ini presented in LunaLUA-SMBX, and it will convert all SFX'es in the Vanilia-SMBX into OGG format to allow compatibility with SDL Mixer Ext library. LunaLua v0.7.3 is finally released! Kevsoft apologizes for long waiting, since this version has a lot of critical changes. 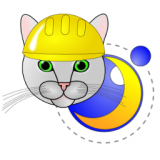 Please make sure that your CC12 level works with this version of LunaLua! Recent update now finally allws us to have fixed resampling, therefore all applications which use it no longer play garbage on non-44100 hz music files! Note: Auto-starting of episode will work if you have LunaLUA 0.7.3. If you have older LunaLUA, SMBX will start in a game mode with escaping of the startup web-window, therefore to launch a level test, you should start playing episode "_temp_episode_pge" which should appear in a list. SMBX Integration configuration package is available from the Online Installer. It also can be downloaded here. Custom images can now be drawn behind SMBX sprites. Improvement [LunaLua]: onHUDDraw and onCameraUpdate now have the camera index as argument. Added FIELD_BOOL which can be used for the mem-functions. Added NPC.get overload with only the npc-id as argument. Bugfix [LunaLua]: SMBX doesn't crash anymore, if you pass nil to some LunaLua functions. Bugfix [LunaLua]: Tiles can now correctly be replaced with PNGs. Bugfix [LunaLua]: Cheat defines now don't reset. Added registerCustomEvent, so you can create custom events from your APIs. Added event onCameraUpdate and Camera.x, Camera.y is now writeable. Added a lot of new world map classes. Added Misc.doPSwitchRaw - You can now trigger the raw P-Switch effect. Added Misc.doPSwitch - You can now trigger the full P-Switch effect. Added Misc.doBombExplosion - You can now spawn bomb explosions. Bugfix [LunaLua]: Misc.resolveFile and Misc.resolveDirectory don't crash anymore and works faster now. Bugfix [LunaLua]: Some unreliability of Animation.spawn has been fixed. Bugfix [LunaLua]: Misc.loadEpisode now works also without Autostart ini file. Added onStart - This event is the better "onLoad". This event will be executed, when SMBX is running the first frame. NPCs can now be killed, even if they are hidden. Add width/height properties to LuaImageResource. Allow onNPCKill to be cancelled. Don't forget that this version is still in works and some bugs and glitches may appear, so, please report to me about any troubles and bugs with PGE Apps, and I will try to fix them. This page has been requested 947 times.